The name of the RSFSR honoured scientific worker, the winner of the Lenin premium, academician Anatolii Ivanovich Maltsev is given to the streets in the Novosibirsk Akademgorodok and city of Ivanovo, a lecture room in Novosibirsk state university and Ivanovo state university, personal grants are found in these universities. There are the memorial plates on the Institute of mathematics of the Siberian Branch of RAS named after S.L.Sobolev and on Ivanovo state university. 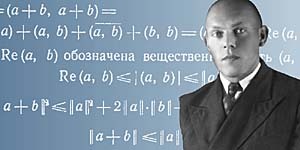 A.Maltsev is among the founders of the modern mathematical logic and versatile algebra. Terms "Maltsev theoreme about compactness", "Maltsev conditions", "Maltsev term", "Maltsev classes" and others have entered in mathematics forever; some of them are known not only for experts in the field of mathematical logic, but also for everybody who studies mathematical logic. One of the lecture rooms in NSU is named after him. A.Maltsev has created also a unique algebraic-and-logic scientific school, which continues working, developing to advantage, and even growing for many years after its death. The international authority of this school is confirmed by regular invitations of members of this school to the most prestigious scientific conferences in Russia and abroad, the members participating as plenary lecturers and members of the program committees, as well as by the intensive international exchange, by the international premiums won by its participants, financial supports, and grants. Issues of "Algebra and Logic" scientific magazine in this school, which was based by A.Maltsev, is one of the most authoritative algebraic-and-logic publications in the world. A.Maltsev's ideas have made and continue exerting an influence on many theoretical and applied fields of mathematics, in particular, on theoretical programming. Written clearly and fine, monographs and textbooks of A.Maltsev keep being significant and popular until now. Updated: Wed Feb 27 14:46:38 2019. Size: 6,567 bytes.